Now that I am a Mom I get to enjoy the excitement of the special prize through my children’s eyes, and truthfully, it’s still just as fun for me! I recently found out that General Mills has included adorable Minion toys in specially marked Minions movie packaging XL/Family Size cereal boxes at Walmart for a limited time. The fun cereal prize couldn’t have come at a more exciting time since my kids have anxiously been counting down the days to the new Minions movie coming out soon. There are seven different Minion characters to collect in all with the 7th prehistoric figure being exclusive to Walmart. 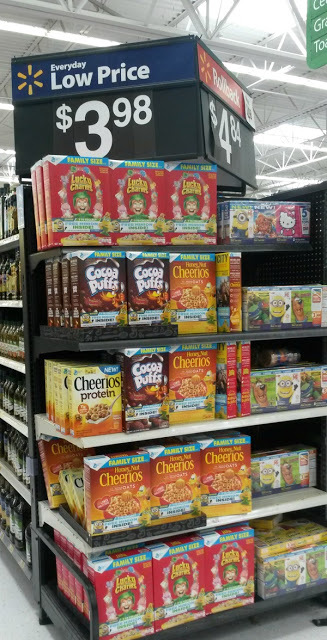 My kids were super excited to see that the prize is included in several of their favorite cereals like Honey Nut Cheerios, Cinnamon Toast Crunch, Cocoa Puffs, Lucky Charms, Reese’s Puffs, Trix and Golden Grahams. When we opened up our first cereal box I was surprised that you no longer have to dig around in the cereal to find the prize. It is conveniently placed inside the box on the side of the cereal bag. So far we have collected four of the Minion characters but are still on the hunt for the special 7th prehistoric Minion. All of the characters arms interlock with each other making them even more fun for the kids. 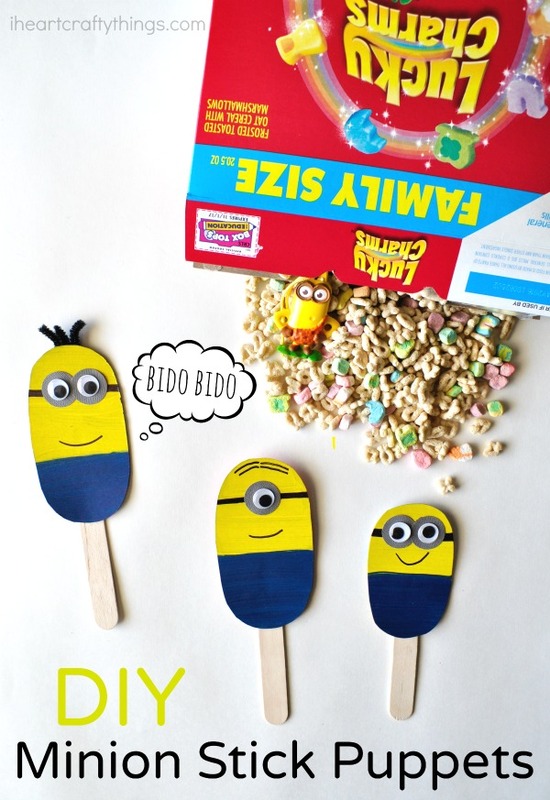 While we were enjoying our yummy cereal we thought of a fun way to re-purpose our cereal boxes by making them into DIY Minion Stick Puppets. 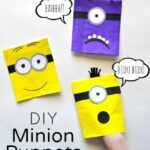 It is a simple kid craft that can provide hours of fun pretend play for the little Minion lovers in your life. 1. 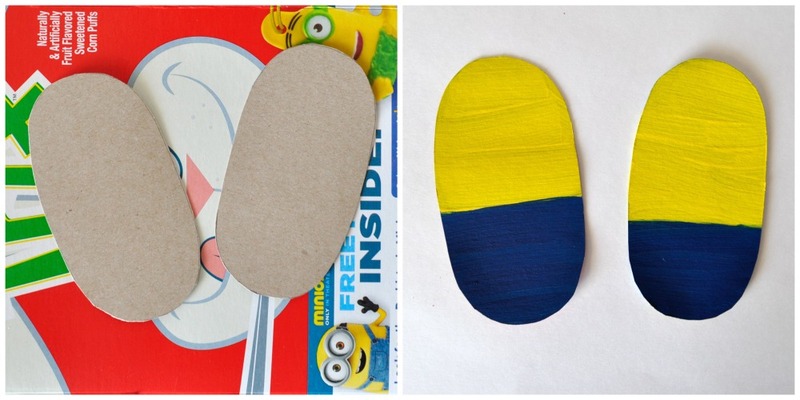 Start by cutting oval shapes out of your cereal box for your Minions. Paint the top of your oval yellow and the bottom of your oval blue. Set them aside to dry completely. 2. 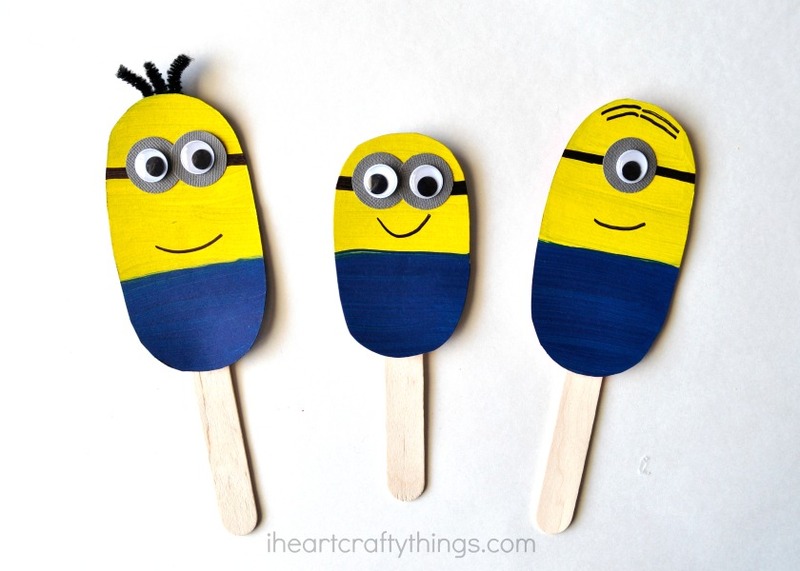 Cut out circles from your gray cardstock paper and glue one or two of them onto each of your Minions for the glasses. Glue your googly eyes onto your gray circles. 3. 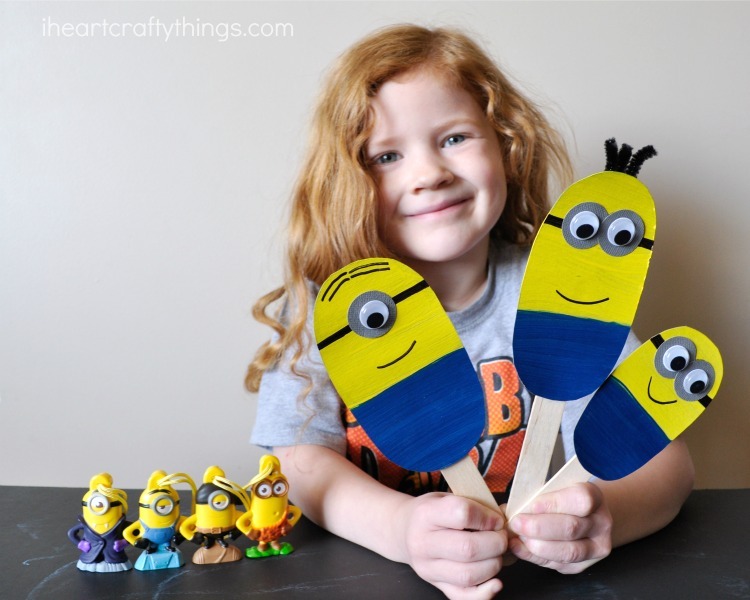 Finish your Minion puppets by adding details with your black marker, i.e. glasses frames, smile, hair. 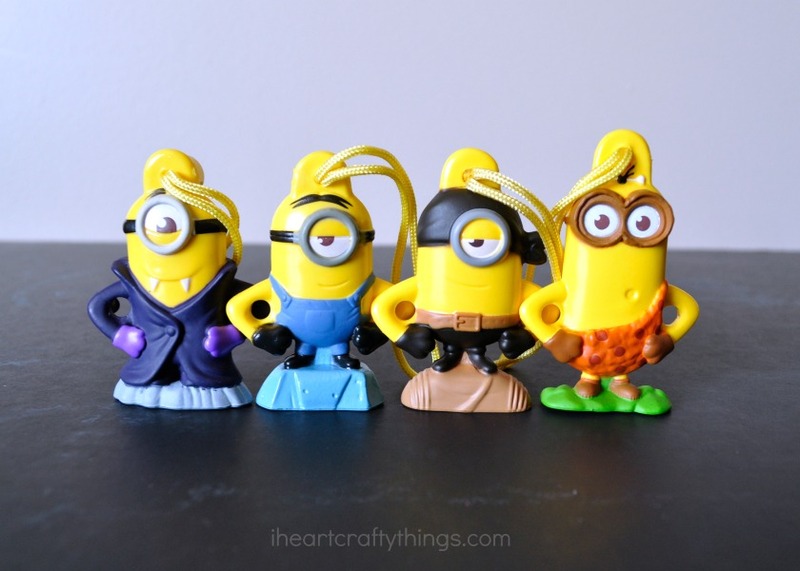 You might also like to add small pieces of black pipe cleaner to the back of your Minion for hair. 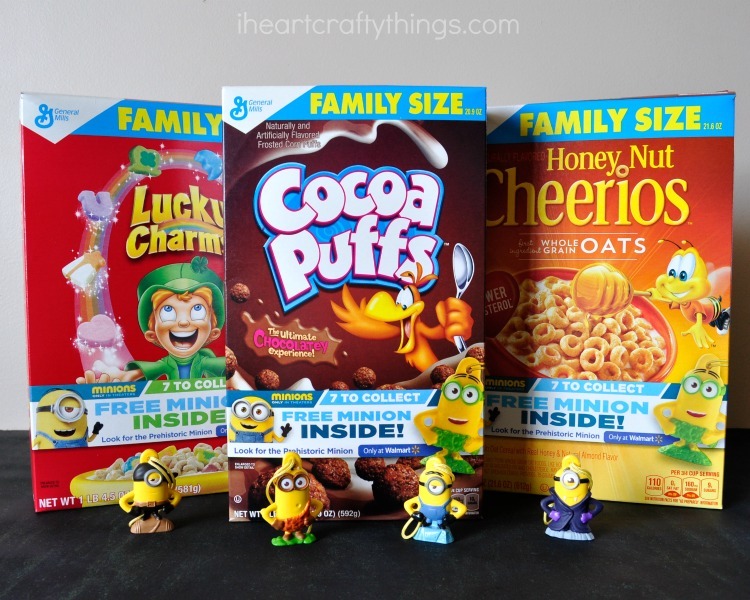 My daughter has been having a blast playing with her Minion puppets alongside her Minion cereal box prizes! Her favorite character is the caveman Minion. I’ve taken a liking to the little pirate. Which character is your favorite? Be sure to look for the 7th Minion at Walmart! I was just commenting to my husband recently that cereals don't have prizes in them like they used to. 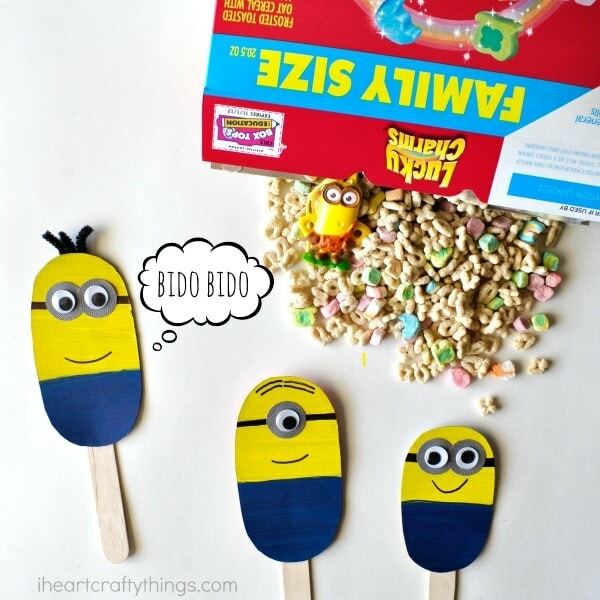 I'm sure my kids will want to get the "minion" cereal. 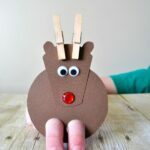 You have great crafts! I could spend hours looking through your site. We have been working on a making a minion from a toilet paper roll. 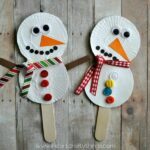 @The Resourceful MamaThank you so much for your sweetness about my crafts! 🙂 We were super excited about the toys in the cereal. I hope your kids enjoy them as much as mine have.